Fuka is now living with Nove. Her day starts at 04:30. After getting up, she comes to the Nakajima Gym and cleans the place. 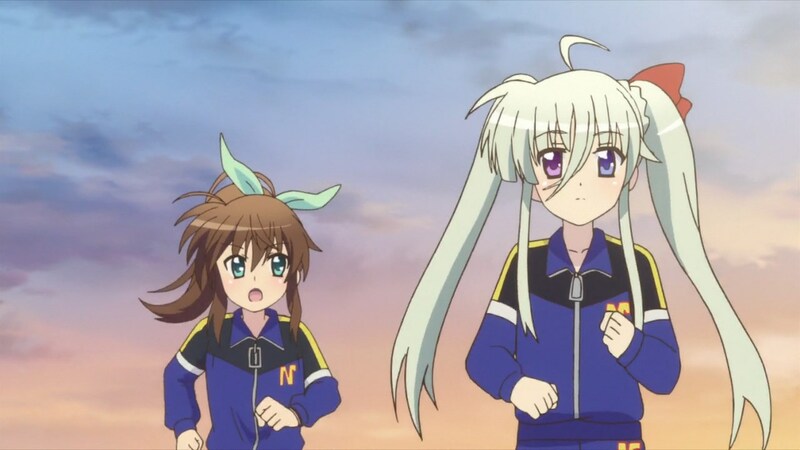 After Fuka finishes her work, Einhart arrives and the two go for a run and training. They return to the gym to shower and have breakfast at Nove’s spacious apartment. 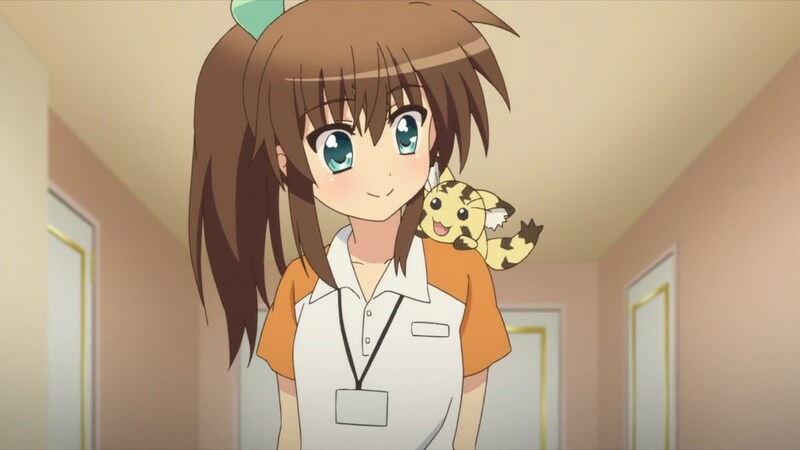 While Einhart is in school, Fuka returns to the gym to man the front desk and assist where needed. 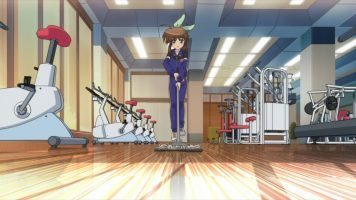 After school, Vivio and friends show up at the gym for training. Yumina (Yumi-san) relieves Fuka at the front desk so she can train with the others. After a long evening of training, Fuka comes home exhausted and falls into bed. One morning, Vivio joins Fuka and Einhart on their run. During one of the training breaks, Vivio mentions Power Mode and the ability to change into an older form of themselves for fighting. That afternoon, all of the girls show off their older forms. Two of them assist Fuka to obtain her teen form, but they don’t get her clothing to transform, leaving her naked. After the clothing issue is resolved, Nove has an invitation from Rinne, inviting Einhart, Vivio, and Miura to watch a match. This leads the group to watch some videos of Rinne fighting. Fuka also recounts some of the story about her and Rinne’s falling out. Yeah, ViVid Strike! 02 seems to be taking the series to where I don’t want to go — a stupid tournament. That does not make for an interesting series. 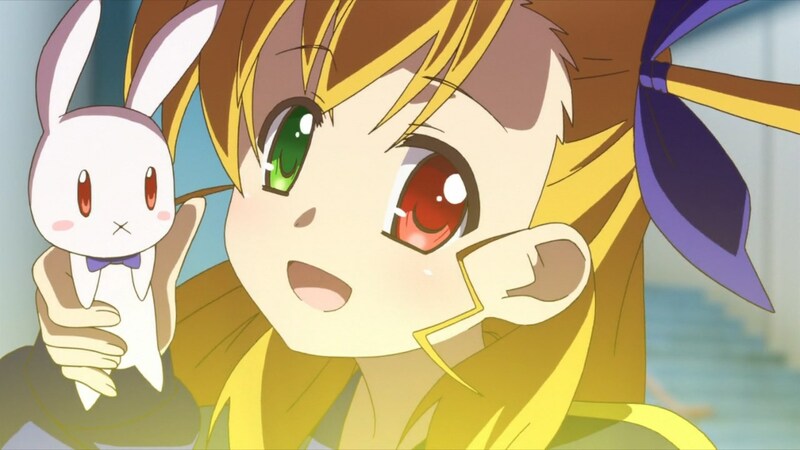 One thing I noticed about the first episode is that there was no magic shown other than Einhart’s and Vivio’s Intelligent Devices. With ViVid Strike! 02, magic is finally shown. Unfortunately, the magic shown was quite limited to having the girls all transform to older forms, ’cause fanservice! 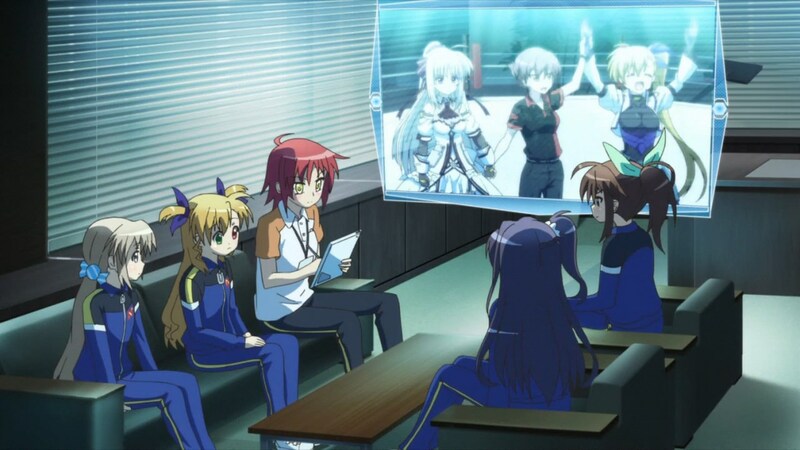 By the way, why is Einhart turning over her Intelligent Device Asteion to Fuka during the day? That makes no sense to me. 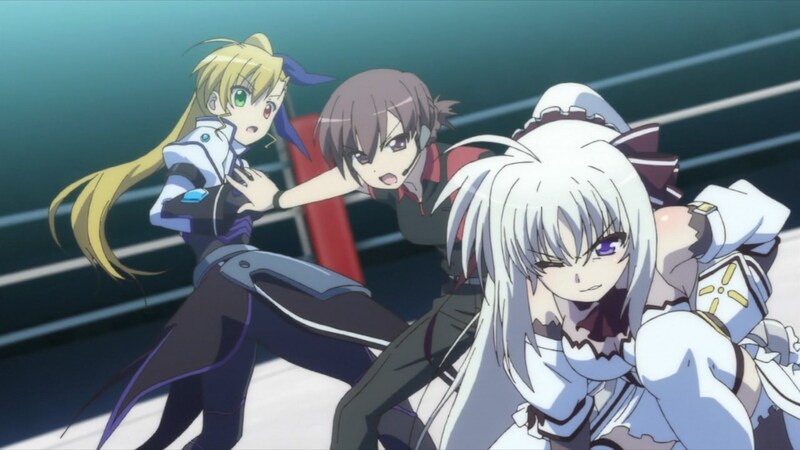 After two episodes, I’m not really impressed with ViVid Strike! 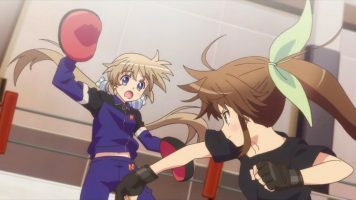 That’s because the series seems to be 100% focused on training Fuka for a tournament. After that, Fuka can then face Rinne in the ring, possibly after defeating Vivio and/or Einhart. For me, that’s not interesting. Since I’m not into this loli fanservice stuff, there’s little here for me. Still, because I have such a long history with the franchise, I’ll continue to watch it. In the end, ViVid Strike! 02 does little but show a day in the new life of Fuka, followed by possibly setting the table for Fuka to eventually battle with Rinne. 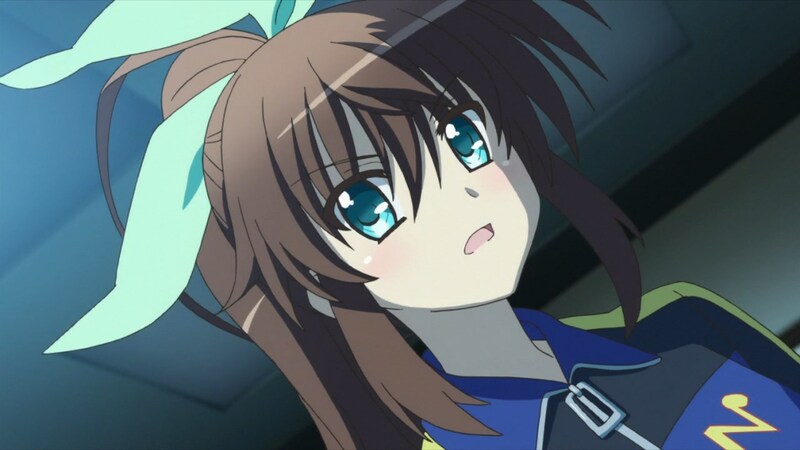 The best thing to have come out of Vivid and Vivid Strike is Asteion. …..I really want a plushy of that damn cat. More than often we watch a series just because of the nostalgia we have, don’t we? That whole transformation magic scene was a huge eye rolling moment for me. Not only because of fan service (Mid-Childan clothes disintegrate if you’re too big for them? ), but also because the once special magic is now “close your eyes, hold my hand and believe” tier… In a setting where magic has been fairly technical, at least compared to other magical girl series. To be fair though, I don’t think it being special was ever stated, but only Vivio and Einhart being able to do it at first suggests so. 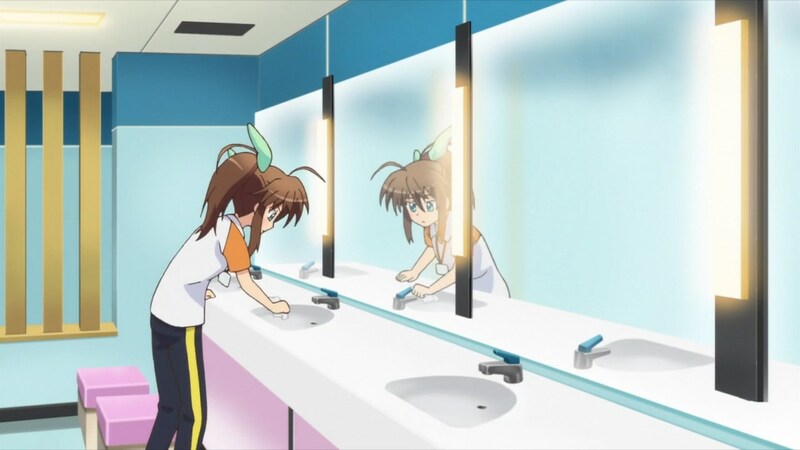 I’m going to guess Einhart is giving her device to Fuka so the poor child laborer wouldn’t feel lonely during the day. 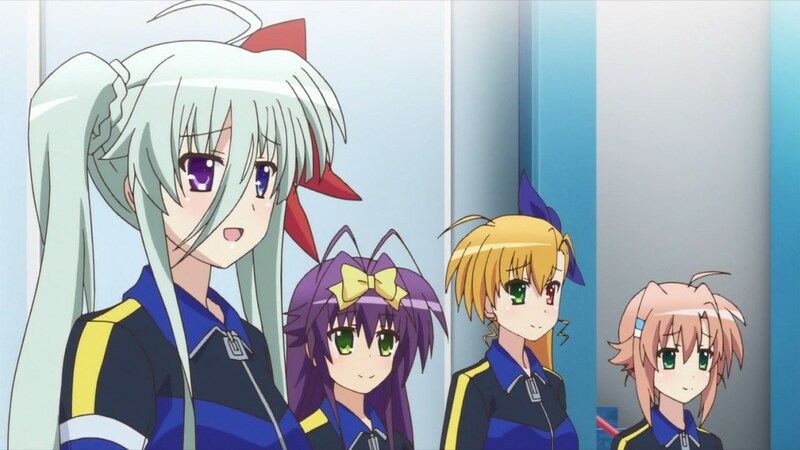 Much like how ssaid device became company to its master before she opened up to girls her age (I admit I forget if Tio helping Einhart’s loneliness was shown in Vivid Strike anime. In the manga it was during the time period the anime showed). That whole transformation magic scene was a huge eye rolling moment for me. Yeah, you nailed it on all points there. 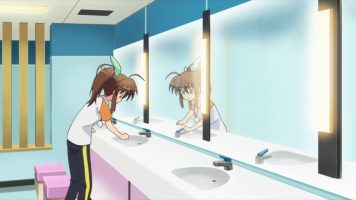 I’m going to guess Einhart is giving her device to Fuka so the poor child laborer wouldn’t feel lonely during the day. She still have Nove. 😉 Regardless, Einhart being without her device just boggles my mind. 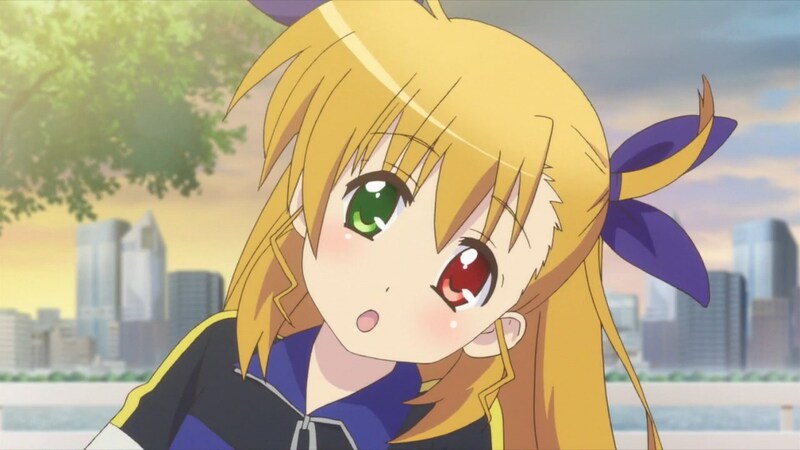 She’s supposed to be a techno-mage like Nanoha, Fate, Vivio, and the rest. I realize they are on a safe planet, but I wouldn’t want to go anywhere without my device.